Bookselling Without Borders, which was founded in 2016 and awards scholarships to American booksellers to attend international book fairs, started by sending one American bookseller to the Frankfurt Book Fair. This year, it has sent or is sending four American booksellers each to Frankfurt again as well as to the Turin Book Fair and the Guadalajara Book Fair. The program has received high praise from participants. As the program puts it, "Booksellers return better connected, better informed, more aware of the international book panorama, and better equipped to put international and diverse literatures into the hands of readers." Next year, Bookselling Without Borders is growing yet again, with plans to offer 16 fellowships to four international book fairs, and for the first time, it will offer two bookstore residencies, in Italy and India. To aid in that expanded effort, it is launching a Kickstarter campaign that begins today and runs through October 25. BWB is looking to raise $20,000 and is offering a range of striking, imaginative rewards to donors. For example, people who donate $15 can receive a postcard from the booksellers who will visit book fairs next year on the program. Many supporting publishers are offering a range of books. Several bookstores are offering book chats, and others are offering book salons. Publishers and agents will consult with donors. Among the especially unusual rewards: for $295, a group can have a tour of the Princeton University campus and some of its collections led by the director of Princeton University Press. For $850, a group can have a tour of the Boston Athenaeum. For $1,850, a donor receives free tuition for the three-month Seagull School of Publishing in Calcutta, India. For $2,400, a donor will receive every title published this year by seven of the publishers supporting Bookselling Without Borders, more than 300 books altogether. And for $2,800, a donor can join the four BWB booksellers who are attending the Guadalajara Book Fair in November. Each week more rewards will be offered. Bookselling Without Borders is supported now by 13 independent publishers--Catapult, Europa Editions, Graywolf Press, Grove Atlantic, Melville House, Milkweed Editions, Other Press, Princeton University Press, Rutgers University Press, Seagull Books, Shambhala Publications, the New Press and the University of Chicago Press--along with several industry partners, including Ingram Content Group, the Frankfurt Book Fair and Shelf Awareness. 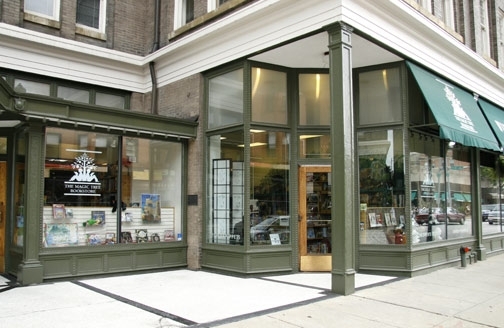 In addition, some 22 independent bookstores in the U.S. are also helping the program. 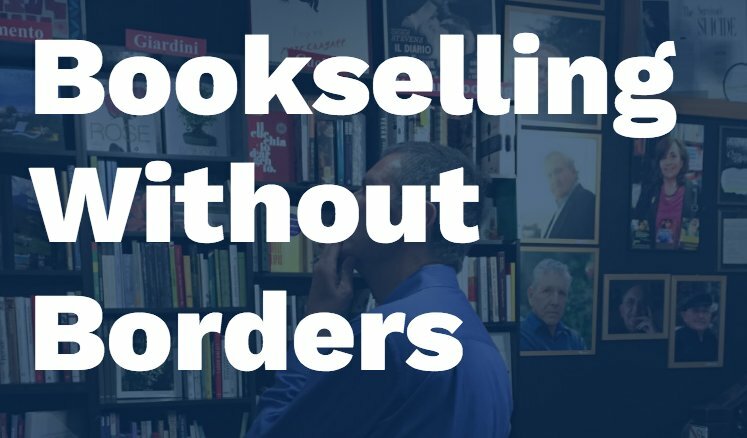 More information on Bookselling Without Borders can be found here. Hanging the signage at the new Bookie's. Bookie's New and Used Books officially opened its second store last Friday, in Homewood, Ill., the Homewood-Flossmoor Chronicle reported. Bookie's original store is in Chicago's Beverly neighborhood. The new Bookie's had a soft opening on September 8 with an event featuring Jamie Swenson, author of A Fall Ball for All (Millbrook Press). The store then closed for two weeks to finish stocking the shelves. On the new store's Facebook page, Bookie's shared videos of Friday's ribbon cutting ceremony with local officials as well as a brief tour inside. The store also posted: "We've accomplished quite a bit since 'Preview Day' and we have a long way to go, and we'll get better and better every day, as we become the neighborhood bookstore YOU want. We will have some redbird cafe coffee and some treats. Doreen Spicer-Dannelly, author of middle grade novel Love Double Dutch! if she still has energy from her school visit earlier in the day. Stay tuned! We're excited!" In 2015, Keith Lewis purchased Bookie's, which opened in 1989, and last year moved to a larger location, in part to have more space for events. Magic Tree Bookstore, Oak Park, Ill., is closing on October 21, after owner Beth Albrecht was unable to find a buyer, the Chicago Tribune reported. She had put the store up for sale in May. Albrecht told the Tribune that while sales had increased in the past several years, the store hadn't been "thriving financially for many years." Albrecht purchased Magic Tree in 2015 from Iris Yipp and Rose Joseph, who founded the store in 1984. Albrecht and the staff are working to make its final weeks into a celebration of Magic Tree's 34 years in Oak Park. "What really makes the Magic Tree magical is the staff," Albrecht said. "The biggest thing we're known for is the recommendations we give. It takes some special people who have that deep knowledge of books, and we have the most wonderful staff in the world." Penguin Random House is supporting this year's Banned Books Week, which began yesterday and runs through Saturday, September 29, in a variety of ways, including a social media sweepstakes through which PRH will donate one book per entry--up to 5,000 in total--to We Need Diverse Books. To enter, participants need to repost or tag and comment on PRH quotes from books that have been challenged or banned, using the hashtags #BannedBooksWeek and #Sweepstakes. To participate, follow @PenguinRandomHouse on Instagram. In addition, PRH is providing financial support to organizations involved in supporting free expression, including American Booksellers for Free Expression, the Banned Books Week Coalition and the National Coalition Against Censorship. And the company's two children's book divisions have created materials for discussing banned and challenged books and the importance of free expression. Random House Children's Books is holding a sweepstakes for Property of the Rebel Librarian by Allison Varnes and offering a guide on "how to build your own rebel library." In partnership with the Out of Print Banned Books Collection, it is also holding a sweepstakes for parents to win a prize pack of middle-grade titles, as well as for teen readers to win a prize pack of YA books through Underlined, which itself is featuring a Banned Books Week quiz on the site. Penguin Young Readers will also feature a list of banned and challenged books in an online reading guide at Penguin Teen. Madeline McIntosh, CEO of Penguin Random House U.S., said, "Supporting free speech and diverse voices is at the core of what we do as Penguin Random House. We are committed to continuing our longstanding support of Banned Books Week and this year's theme, Banning Books Silences Stories, to raise awareness of the rising tide of censorship and the importance of ensuring all voices are not just heard and read, but also celebrated." Independent Publishers Group has opened a 20,000-square-foot digital print facility, allowing the company to offer "comprehensive digital printing solutions exclusively in service of its distributed publishers," IPG said. The facility is configured for short run as well as POD orders, which account for about half its volume. IPG CEO Joe Matthews commented: "The reality is that the priorities of a printer are not always aligned with the priorities of a distributor. Now that we own and control our own operation, printing will always be in service to distribution." The new print facility replaces the Edwards Brothers Malloy site built in 2016 and shuttered in July when the company dissolved. As part of Abrams ComicArts publishing program, Abrams has founded a line of books called Megascope that will publish graphic novels and comics, including stories of science fiction, fantasy, horror, and magical realism, as well as creative nonfiction narratives centered on social justice issues. Comics creator John Jennings, illustrator of Kindred: A Graphic Novel Adaptation (Abrams ComicArts), an adaptation of Octavia E. Butler's classic work, will acquire and help guide the editorial side of Megascope, which will publish between four and six books per year, the first of which will release in fall 2019. Editor Charlotte Greenbaum will work with editorial director Charles Kochman to assist Jennings in overseeing the process for all Megascope titles. 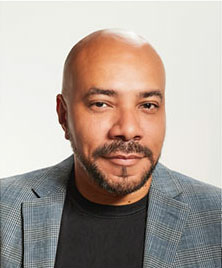 Jennings is creating an advisory board that will include Henry Louis Gates Jr., Sherryl Vint, Frederick Luis Aldama, Stanford Carpenter, Kinitra Brooks, Ricardo Padilla, Rebecca Wanzo, Darieck Scott and Frances Gateward. Jennings commented: "Everyone who participates in our society deserves to see themselves and their culture reflected back to them in the media with which they interact. Storytelling is an empathy technology and it gives us a space to share and explore everyone's humanity. We plan to reach back and find speculative critical narratives of the past and introduce them to new audiences. We also want to help develop new stories from new voices that speak to the imagination and wonder of fantastic shared narratives for all to learn from and enjoy." Megascope takes its name from W.E.B. Du Bois's allegorical device that peers through time and space into other realities. The new line aims to emulate that by rediscovering "powerful speculative work by and about people of color and also visualizing new diverse narratives through the comics medium." Washington State Ferries has launched--literally--its first writer-in-residence program. 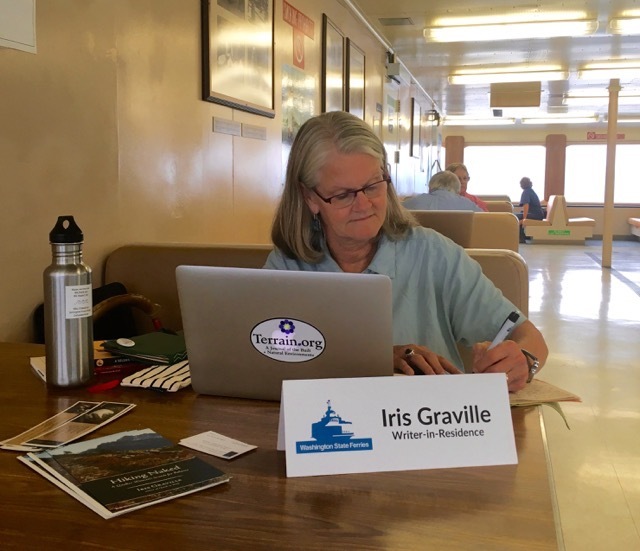 Starting last month and over the next year, Iris Graville, a Lopez Island author and bookseller at Lopez Bookshop, is riding and writing aboard the M/V Tillikum as it sails between Lopez, Shaw, Orcas and San Juan islands. Graville is working on a book of personal essays for which she has a contract with Homebound Publications. "Some of the themes and content I'm writing about include details about the Tillikum and its route, passengers and crew; description of my 'office'; and effects of climate change on the Salish Sea," she said. "I expect other topics will evolve throughout the course of the project." For more information about the program and to follow Graville's progress, click here. In its role as a sponsor of the Great American Read on Rocky Mountain PBS, Tattered Cover, Denver, Colo., ran the first of a series of amusing videos supporting the event. This one features Tattered Cover (very) Amateur Players Len Vlahos, co-owner, and Mikaley Osley, events and marketing manager, in a quick interpretation of War and Peace. Sarah Thegeby has been promoted to publicist. Anna Skrabacz has been promoted to marketing associate. 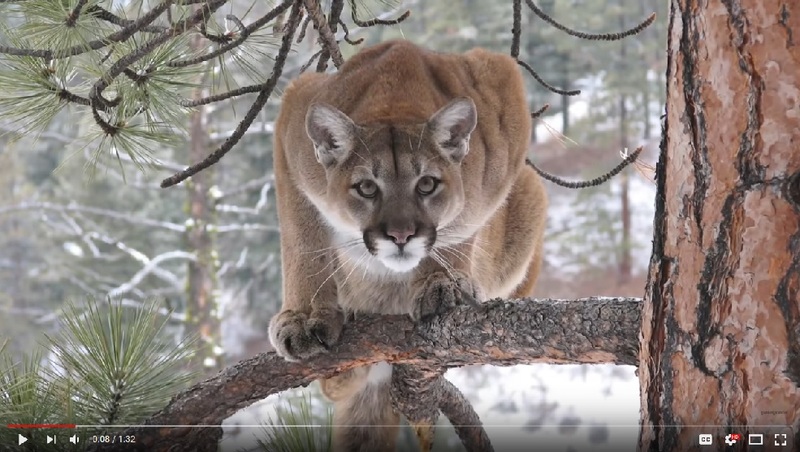 Path of the Puma: The Remarkable Resilience of the Mountain Lion by Jim Williams (Patagonia). CBS This Morning: Michael Ovitz, author of Who Is Michael Ovitz? (Portfolio, $30, 9781591845546). He will also appear tomorrow on NPR's Marketplace. Fox & Friends: Ian O'Connor, author of Belichick: The Making of the Greatest Football Coach of All Time (Houghton Mifflin Harcourt, $28, 9780544785748). He will also appear on Fox Radio's Brian Kilmeade Show. Fresh Air: Eli Saslow, co-author of Rising Out of Hatred: The Awakening of a Former White Nationalist (Doubleday, $26.95, 9780385542869). The Real: April Ryan, author of Under Fire: Reporting from the Front Lines of the Trump White House (Rowman & Littlefield, $24.95, 9781538113363). Watch What Happens Live: Chrissy Teigen, co-author of Cravings: Hungry for More (Clarkson Potter, $29.99, 9781524759728). Dr. Oz: William Shatner, co-author of Live Long And...: What I Learned Along the Way (Thomas Dunne, $26.99, 9781250166692). Daily Show: Jenny Han, author of To All the Boys I've Loved Before (Simon & Schuster, $10.99, 9781442426719). Good Morning America: Reese Witherspoon, author of Whiskey in a Teacup: What Growing Up in the South Taught Me About Life, Love, and Baking Biscuits (Touchstone, $35, 9781501166273). Also on GMA: Tim Tebow, co-author of This Is the Day: Reclaim Your Dream. Ignite Your Passion. Live Your Purpose (WaterBrook, $25, 9780525650300). Wendy Williams: Michael Rapaport, author of This Book Has Balls: Sports Rants from the MVP of Talking Trash (Touchstone, $16, 9781501160325). Late Show with Stephen Colbert: America Ferrera, author of American Like Me: Reflections on Life Between Cultures (Gallery, $26, 9781501180910). A trailer has been released for Galveston, based on the novel by True Detective creator Nic Pizzolatto and directed by Mélanie Laurent. "Though best known for her roles in films like Inglourious Basterds and Beginners, [Laurent] has proven to be as impressive behind the camera as she is in front of it," IndiWire wrote. The film stars Elle Fanning, Ben Foster and Lili Reinhart. After premiering at South by Southwest earlier this year, the film hits theaters and on VOD October 19. The official trailer is out for Beautiful Boy, based on the memoirs Beautiful Boy: A Father's Journey Through His Son's Addiction by David Sheff and Tweak: Growing Up on Methamphetamine by Nic Sheff. IndieWire wrote that "one thing was clear after Beautiful Boy made its world premiere at the 2018 Toronto International Film Festival: Timothée Chalamet is a 'shoo-in' to earn his second career Oscar nomination, this time for best supporting actor." Directed by Felix Van Groeningen (The Broken Circle Breakdown), the cast also includes Steve Carell, Amy Ryan and Maura Tierney. The winner of the £15,000 (about $19,610) Wilbur Smith Adventure Writing Prize for best published novel, presented by the Wilbur and Niso Smith Foundation, is A Necessary Evil by Abir Mukherjee. The Quaker by Liam McIlvanney has won Bloody Scotland's £1,000 (about $1,310) McIlvanney Prize for best Scottish crime book of the year. The author is the son of the late William McIlvanney, after whom the prize was renamed in 2016. The book will be promoted in Waterstones bookshops. "Some days there seems to be little reason for hope, in our families, cities, and world," admits essayist Anne Lamott. "Well, except for almost everything." 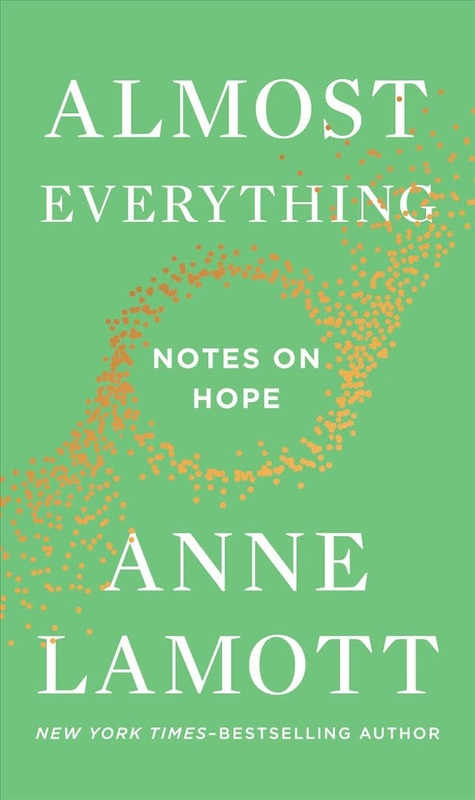 That exception is the impetus for Lamott's essay collection Almost Everything: Notes on Hope. Lamott, who has made a career out of facing the darkness honestly and then looking for the pinpricks of light, brings her pithy, self-deprecating humor to bear on such topics as a friend's alcoholism, the power of stories to redeem and transform and the ways grace sneaks in: without warning and against all expectations. Lamott (Hallelujah Anyway) begins by confessing, "I am stockpiling antibiotics for the apocalypse, even as I await the blossoming of paperwhites on the windowsill in the kitchen." In brief, wry chapters on topics such as "Puzzles" (not the 500-piece kind), "Humans 101" and "Famblies," she explores the complicated truth of "the mess and the tenderness"--the ordinary human condition, shot through with despair and joy. This takes the form, at times, of sticking with friends and family members through illness and death, learning to treat ourselves and our bodies with kindness and struggling not to give in to hate in a fear-filled political climate. It also can mean glancing out the window at a bird, laughing (kindly) at ourselves and simply being willing to be amazed. Through rambling anecdotes from her life and the writing classes she teaches, Lamott comes back to a few key truths: every human being is valuable; stories teach us to hope and hold us together; and this life is full of joy and beauty, which often appear right after we've almost given up. The chapter on writing harkens back to her classic Bird by Bird, with its emphasis on plain hard work, sticking to the truth of a story (even a fictional one) and keeping an eye out for the telling or magical detail. "We have to cultivate the habits of curiosity and paying attention," Lamott says, because they are "essential to living rich lives and writing." Shelf Talker: Anne Lamott's essays on hope offer pithy, straight-shooting insights in times of despair.